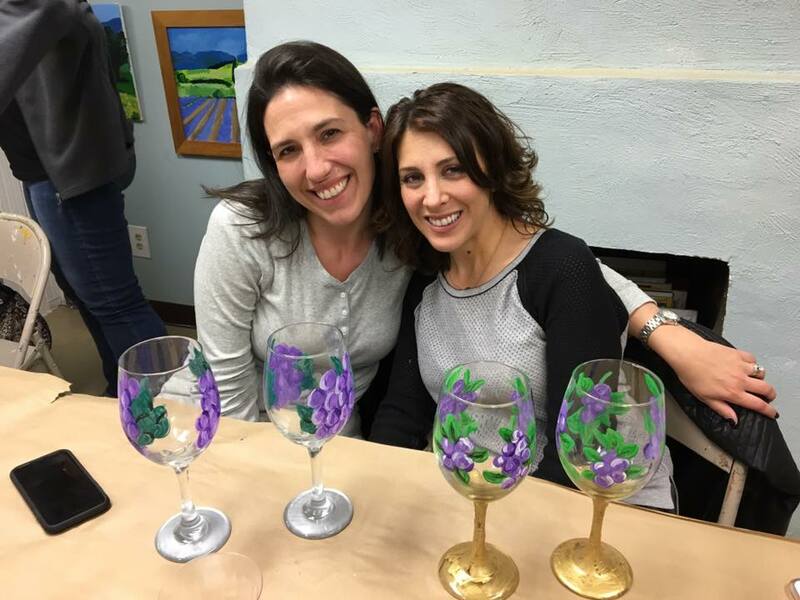 Choose your own design, or take inspiration from one of our creations, and we will provide you with everything you need to paint a set of 2 wine glasses! Stop by any time we are open and we will set you up to paint! Only $21.95 per person. Bring a group of friends or come by yourself for an afternoon or evening out! If you have a large group of eight or more, we would appreciate if you could give us a call in advance at 732-508-3092 to schedule a time to come by! We just want to make sure we can have a room ready when you arrive! 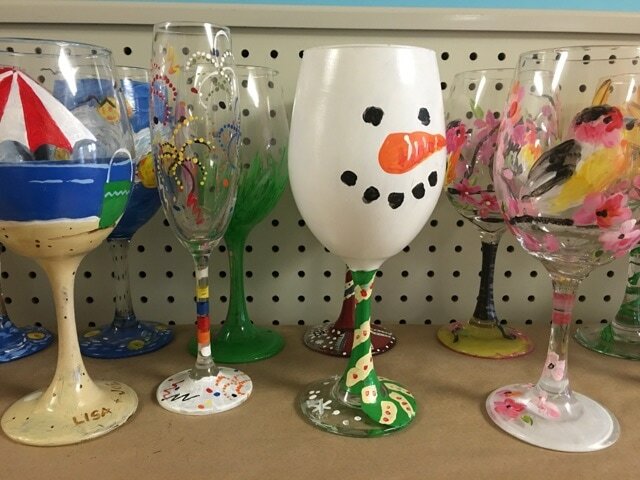 Before painting at all, the wine glasses must be cleaned off with alcohol wipes. After this - you can choose your colors and get ready to paint! 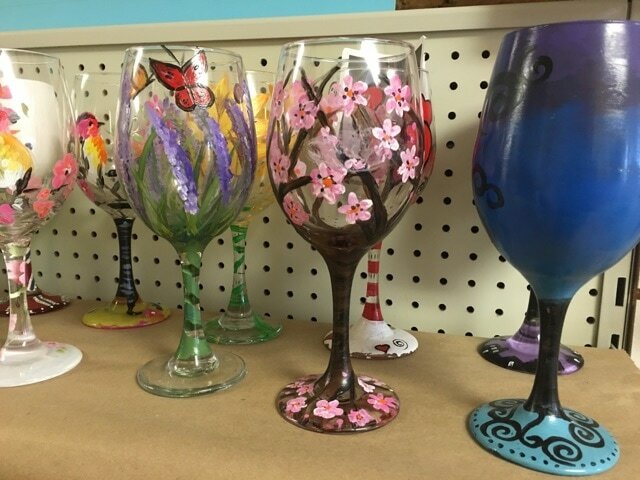 You may take inspiration from one of our many wine glasses we have on display, or you an explore your creativity and design your very own. The internet is also a great place to find exactly what you'd like to paint! After this, we will make sure you have everything you need for a fun time. 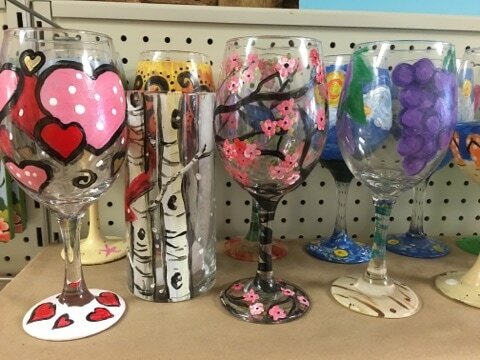 After preparing the glasses, choosing your design and colors needed, you can get to painting your wine glasses. You will often have to paint a few layers of paint to make your colors solid and bold. Remember to paint the stem last, so you can hold is while you paint the rest! Once you are finished will will provide you with instructions on how to bake the glasses and a bag to carry them home! 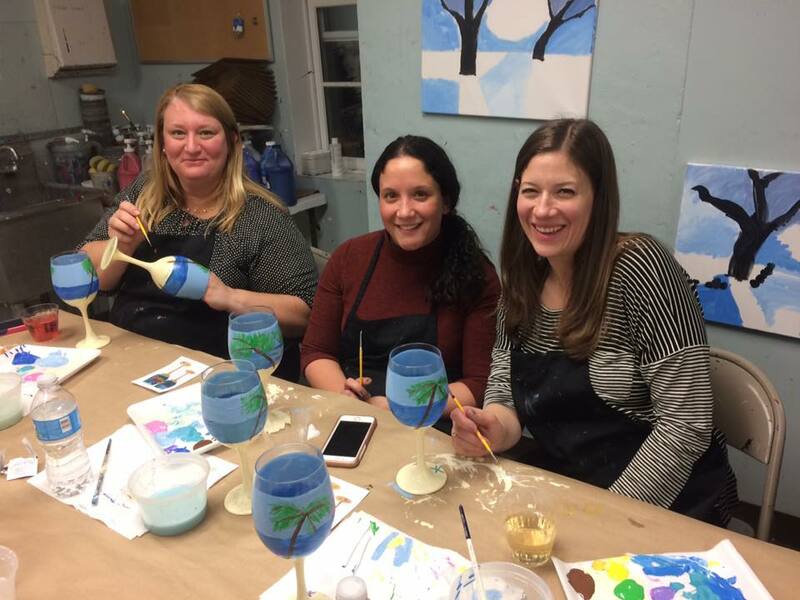 Step 4: Bake your Artsy Creations & Enjoy a Good Glass of Wine!